One of the things I’ve learned to do in the years since I’ve paid attention to this blog, is to find dens. There’s a lot to it, but I’ve always been amazed at the diversity of circumstances that the common Western Diamondback Rattlesnake chooses to call home during the cooler months. 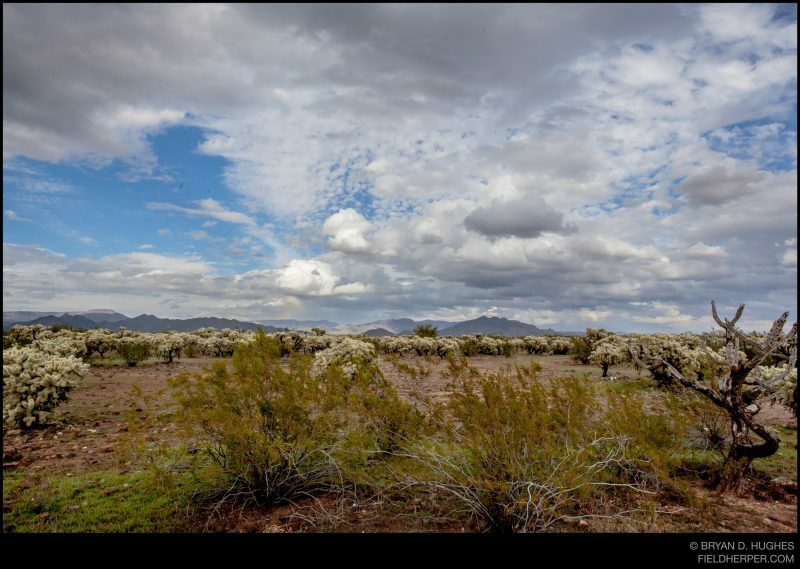 In higher and rocky areas, there are a lot of options … but in the low Colorado river flats dominated by many cactus and few rocks, opportunities are few. This cholla patch is a good sign, meaning the ‘needle in a haystack’ approach I’ve taken to single out den sites is not far away. 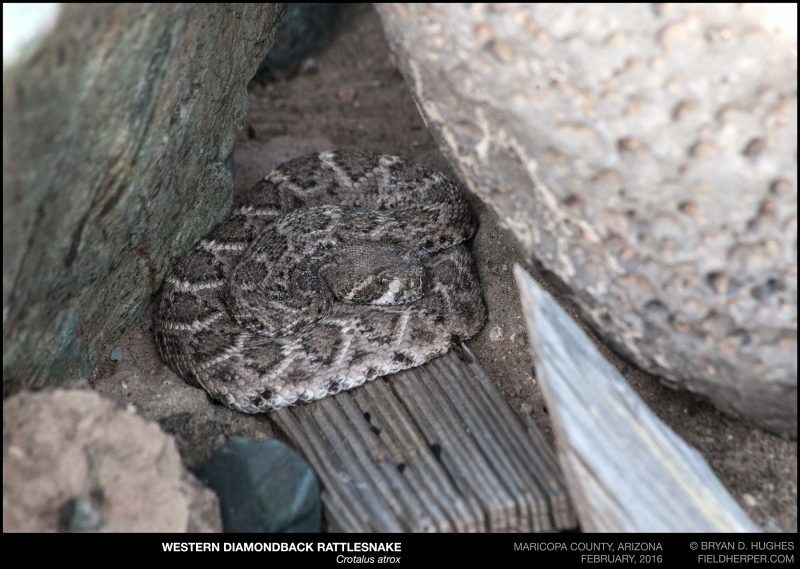 Nearby, this is one of several diamondbacks I’ve been keeping an eye on in the Winter, taking advantage of space between a few rocks to enjoy the relatively warm air temperatures without the direct sun. This entry was posted on Monday, May 9th, 2016 at 9:36 pm	and is filed under Field Herping, Research, Snakes. You can follow any responses to this entry through the RSS 2.0 feed. You can leave a response, or trackback from your own site.